Uhhh, no. Not only is it rude, it’s impossible to really have a conversation that way. 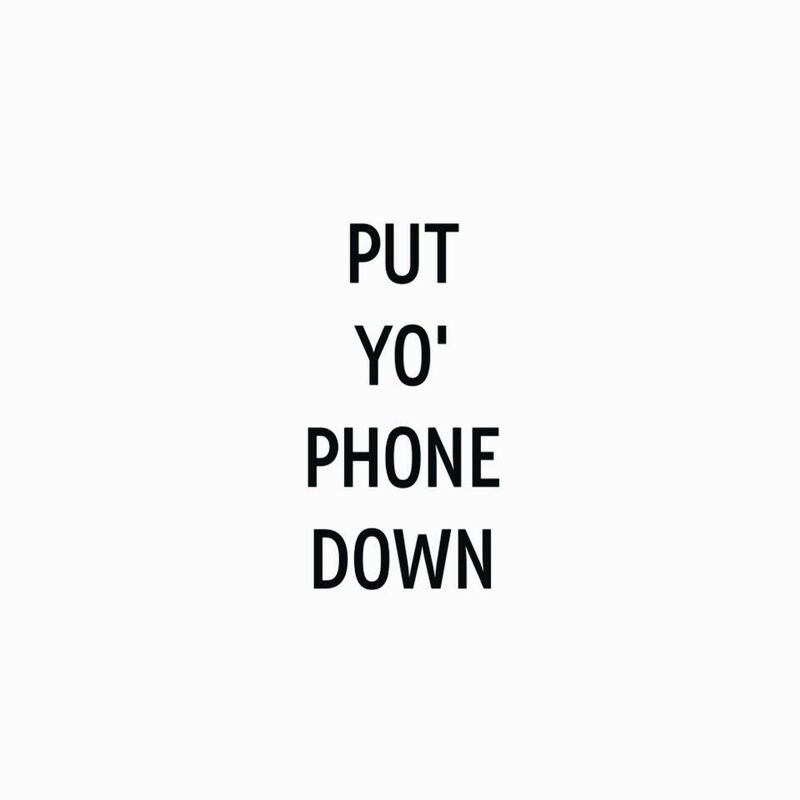 The most Phone Face can do is just nod, ‘uh huh’ ‘yep’ and agree with whatever you’re saying because it’s easier to reply to their tweet or text that way. I think everyone has someone who delivers honesty in a way that is soft, yet brutal — and we never get mad at them for it. They give valuable advice and always have time to listen. They’re like our ad-hoc therapist, except they don't take a copay and if you see them in the supermarket, it’s weird if you don’t say hello. And, it’s always lovely when you meet people whom you have so much in common with that you rarely disagree, if ever. But, I think you can always tell the difference between someone you truly vibe with and someone who just agrees with everything, no matter what. I’m wary of people like that. It’s like that saying — ‘still waters run deep’ — and sure, that could mean quiet, agreeable people are actually passionate, deep thinkers. But, I also think they hide a bunch of stuff at the bottom that never gets stirred up until the right storm comes along and they purge all their sediment at once. No thanks. I like my water like I like my people — transparent and always moving. So g’head — disagree with me. At least I know you’re listening, unlike Phone Face over here.